IEA has an interest in alternative energy sources, and believes such projects can be a valuable addition to its portfolio of assets. IEA also believes there is a large untapped market for services related to alternative energy. In order to gain expertise in this area, three of IEA’s staff members completed a comprehensive training seminar put on by the Midwest Renewable Energy Association. The topic of this seminar was Photovoltaic Systems; Design and Installation. There are a substantial number of design questions to consider when installing such a system. Which nearby trees, utility poles and lines, signs and other obstructions might adversely impact performance of the system? What is the optimal angle to install a fixed solar module at your latitude? What are the interconnect requirements of your local electrical utility? 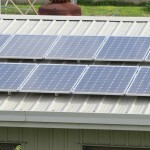 What are the benefits of tracking PV systems? Should I use batteries to store energy generated by a PV system? IEA then put this knowledge to work by purchasing and installing a nominal 3,000 watt solar voltaic system on the roof of its Marion Diesel Plant. 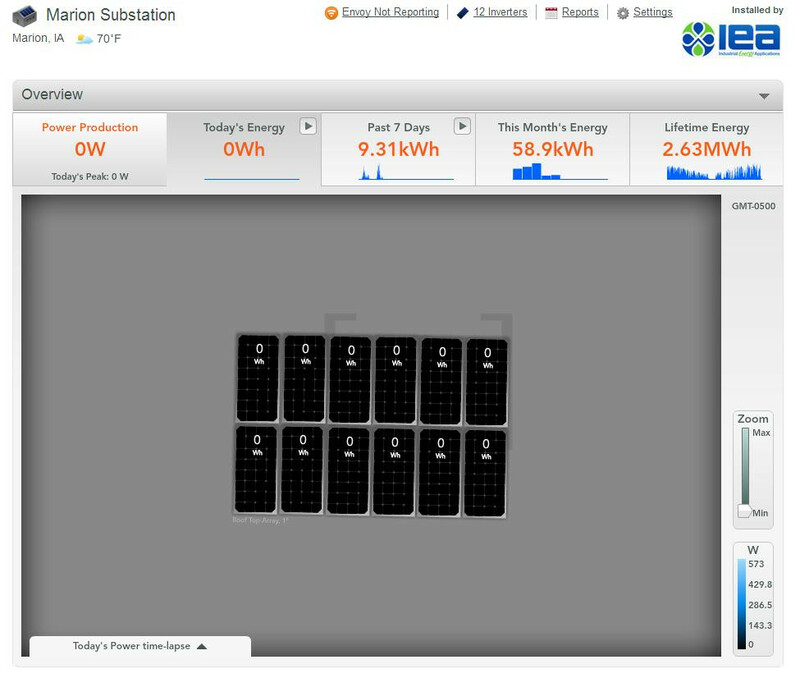 The system consisted of 12 solar modules rated at 240 watts coupled with individual AC inverters mounted with each module. This method eliminates the need for a costly central inverter and the complex wiring associated with such a system. An Interconnect Agreement was reached with the local electrical utility, and a bidirectional utility meter was installed. This system will not provide all the power requirements of our building, but with the “net metering” arrangement we have with the utility, we are able to utilize the solar power during the more expensive daytime hours while relying on the utility system during cheaper night time hours. This system also has the ability, when hooked to an internet connection, to report back to a website, where real-time and historic performance characteristics can be monitored. 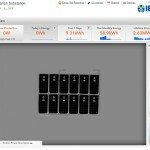 Click to view IEA’s solar installation webpage.